More on title trends: First came ‘Judas’ now it’s the turn of the ‘Templar’ – no, not Simon but the ancient order of the Knights Templar. 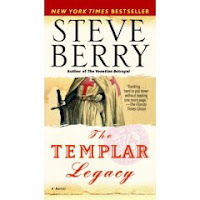 Three books in quick succession include the November mass market release of Steve Berry’s The Templar Legacy with a far better cover, followed by Paul Doherty’s new series (does this man ever sleep?) 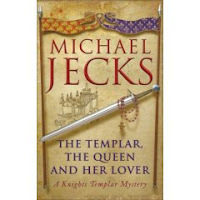 simply called The Templar and from the medieval mystery writer Michael Jecks comes The Templar, The Queen and Her Lover (okay, a little cheat here as it is part of his Templar series but it qualifies). 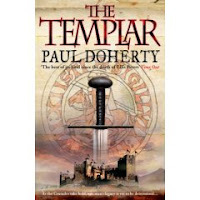 I understand on good authority that the launch party (held tonight 6 Dec) for Doherty’s book will be attended by Mr & Mrs Barry Norman, he of former BBC TV Film Night fame, and she as Ariana Franklin won the Ellis Peters CWA Historical Crime Award only last month for Mistress of the Art of Death. There will be photographic proof over on the website to prove this. Best Crime Novel: The Chameleon’s Shadow - Minette Walters (Macmillan). Best Thriller: The One From The Other - Philip Kerr (Quercus). 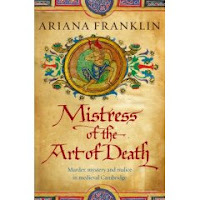 Best Historical Mystery: Mistress of the Art of Death – Ariana Franklin (Bantam). Funniest Crime Novel: Don’t Cry For Me Aberystwyth – Malcolm Pryce (Bloomsbury). Best In Translation: The Pére-Lachaise Mystery – Claude Izner (Gallic). Best First Novel: Little Moscow – Mick Scully (Tindal Street Press).